Bariatric surgery, or weight loss surgery, is a type of procedure performed on people who have morbid obesity, for the purpose of losing weight. Bariatric surgery is recommended for obese people with a body mass index (BMI) of at least 40, or with BMI 35 and serious coexisting medical conditions such as diabetes mellitus, high blood pressure, high blood lipids, and sleeping disorders. 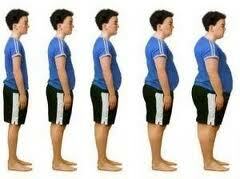 Furthermore, in patients with a BMI of 40 or greater, there is a 5-fold risk of depression. In sleeve gastrectomy the stomach is reduced to about 15% of its original size, by surgical removal of a large portion of the stomach, following the major curve. The open edges are then attached together to form a sleeve or tube with a banana shape. The procedure permanently reduces the size of the stomach. The procedure is performed laparoscopically and is not reversible.﻿ The ideal approximate remaining size of the stomach after the procedure is about 150 mL. After the surgery,a dye is injected into the stomach and an X-Ray is taken to confirm the size of the gastric remnant, and that there is adequate emptying of the stomach wthout any leaks. Then the patient is put on a blended or pureed sugar-free diet for at least two weeks. Afterwards, the patient is unable to overeat because exceeding the capacity of the stomach causes nausea and vomiting. Sleeve gastrectomy may cause complications; such as sleeve leaking, aversion to food and nausea﻿, delay in moving food from the stomach to the small intestine, vomiting, and esophageal spasm / pain. Most of these complications are manageable, but some are permanent. Sleeve Gastrectomy and abdominoplasty in a 59-year old patient. Note restored abdominal contour.